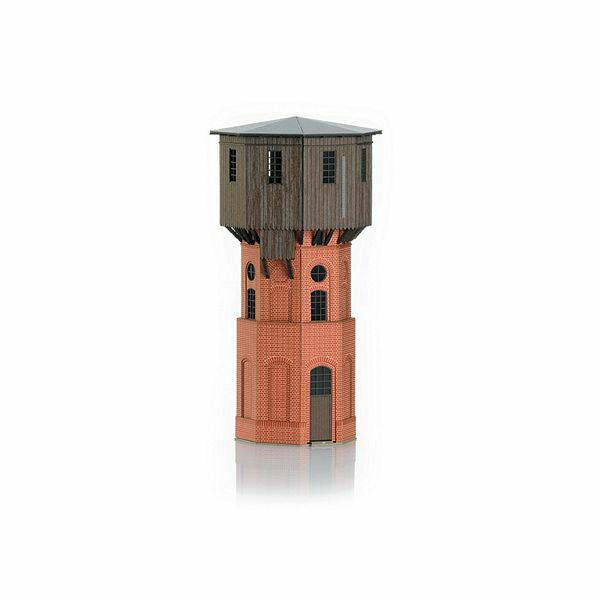 Prototype: Sternebeck water tower building kit. Prussian standard design that is presently a protected monument. Model: Prototypical building kit made of finely laser-cut architectural cardstock. Dimensions 83 x 83 x 168 mm / 3-1/4” x 3-1/4” x 6-5/8” (L x W x H).